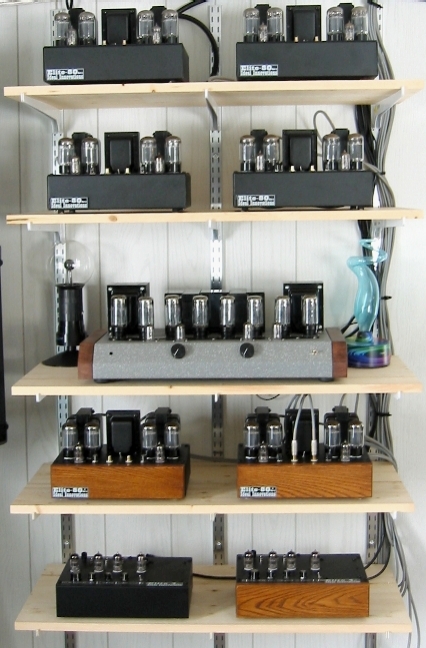 JAN 6AV5GA/6FW5 power output tubes. 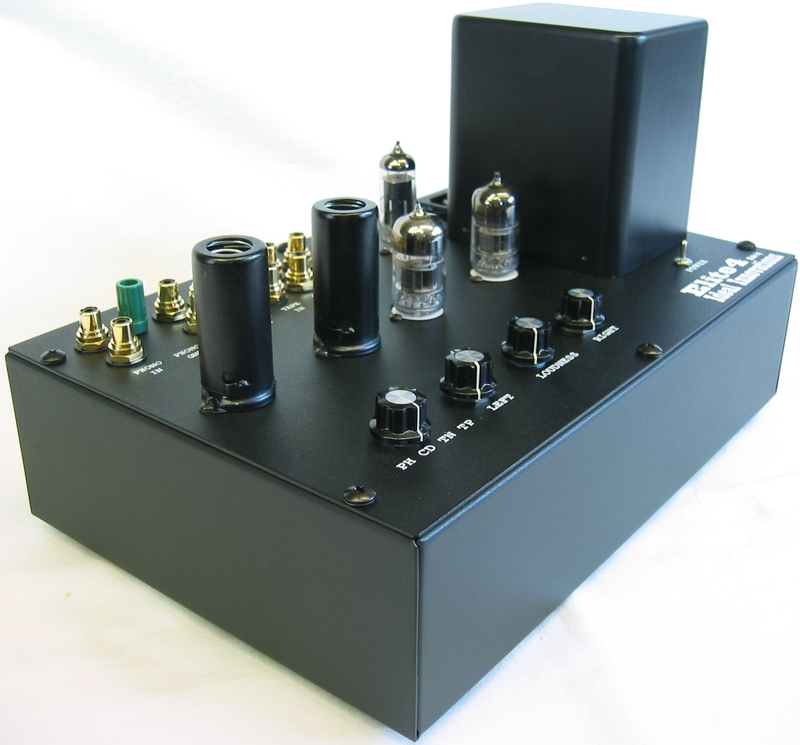 We are now taking orders for this amplifier. OPTION 1 - Dual Volume Potentiometer & Balance Control - $255.00. OPTION 2 - L&R combined sub-woofer output jack - $175.00. OPTION 3 - Stereo Headphone Jack, Non-Switching, with load resistors - $225.00. 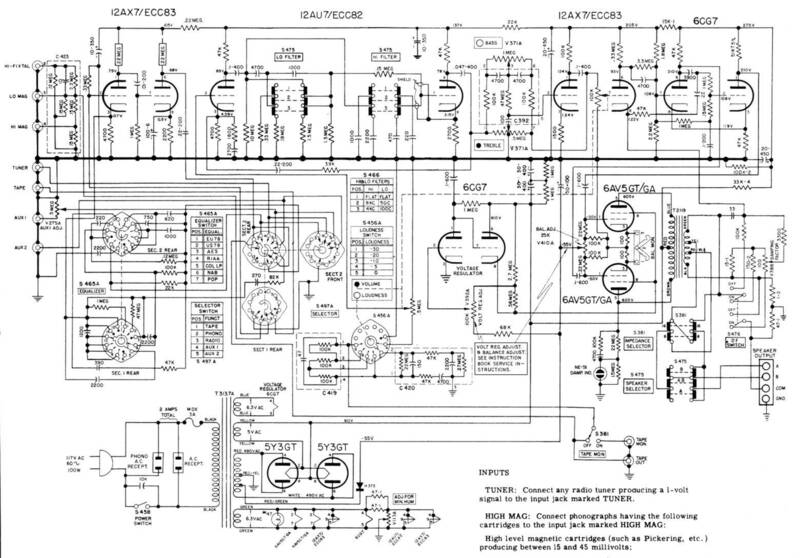 OPTION 4 - Stereo Headphone Jack, with Speaker Switching & load res. - $285.00. OPTION 5 - Second Set of RCA Rear Input Jacks & Switch - $275.00. 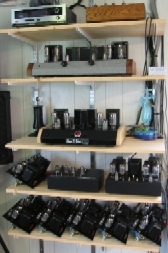 OPTION 6 - 3 Position Input Selector Switch and 3 Pairs RCA Jacks - $375.00. OPTION 7 - Second set of 4 Ohm Output Jacks - rear deck mounted - $255.00. OPTION 8 - Output Impedance 4-8-16 Ohm Selector Switches - rear mounted - $385.00. OPTION 9 - R.F. Remote Control for Power, Volume, & Standby or Headphones - $499.00. OPTION 10 - Oak Hardwood Front Panel - (Other hardwood options available) - $175.00. OPTION 10A - Deluxe Hardwood Base - many woods & colors to choose from - $299.00. 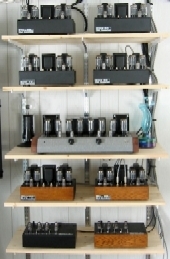 OPTION 11 - Spare tube set of 2 Matched pairs of 6AV5GA & 2 of 6N2P or 12AX7 - $249.00. 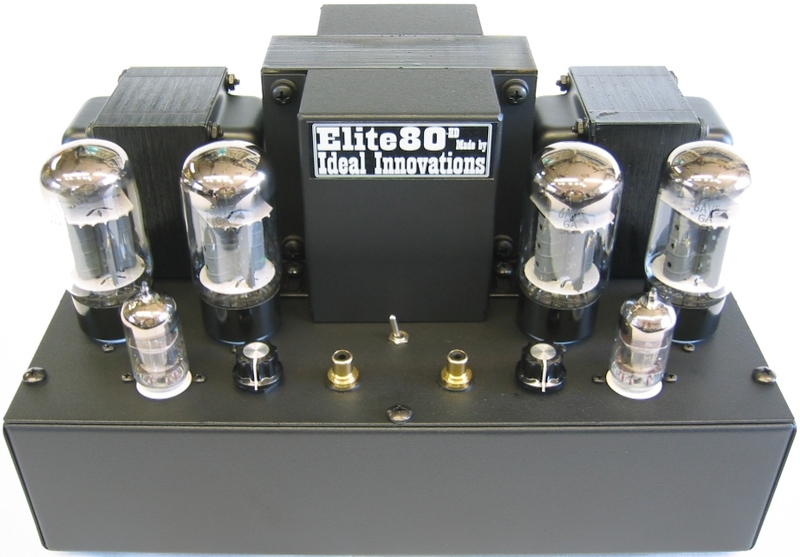 OPTION 15 - An Elite80, Fully Loaded, Super Deluxe - "Elite80SD" - $999.00. OPTION 16 - International, 100,120,200,240Volt 50/60HZ Power Supply - $499.00. You don't see it on the option list? Just ask us about your idea - we can do it. 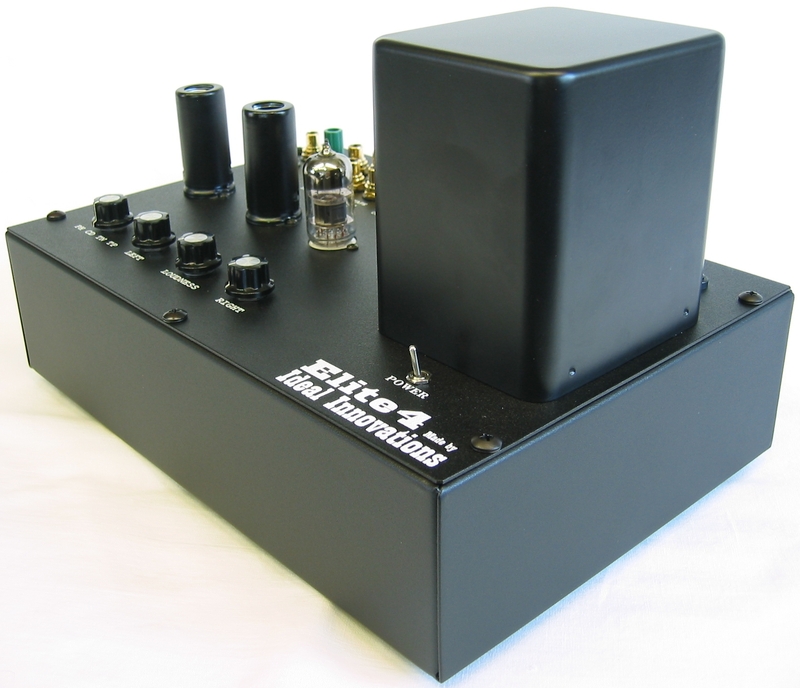 or base price of the Elite Series amplifiers. We really like the performance and sound quality of the Philips-ECG (Sylvania) 6AV5GA that we use in the Elite80, Elite40M and Elite40SE amplifiers. From info we have gathered these are actually an upgraded military version of 6FW5's labeled as 6AV5GA's. The 6FW5 is a much heavier dissipation tube than your standard 6AV5GA. This heavy duty version of the 6AV5GA also has the top getter which silvers uniformly only the top portion of the envelope, making the tube's appearance also very cool looking. This 6AV5GA is a very well manufactured tube, made in the USA, by Sylvania in Emporium, PA in 1984. They are a very robust design with cathodes larger than a KT88�s. 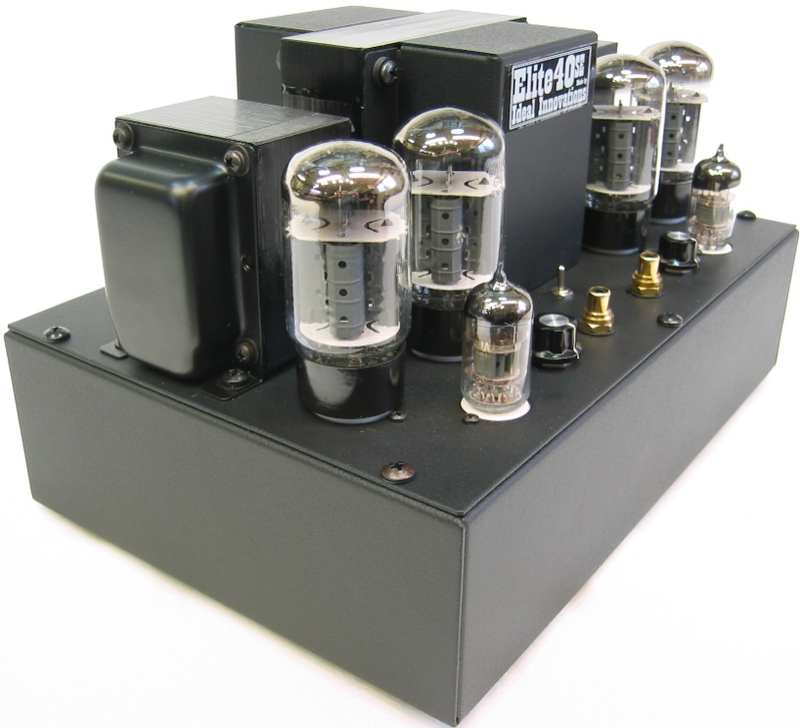 Originally made for demanding military applications these ideal power tubes provide unrivalled sonic performance in the correct audio circuit, at least in our opinion, and we believe yours too once you listen with this amp. So several years back we did some R&D of our own just to see what could be done with these things. We found a small stash of these Philips-ECG (Sylvania) 6AV5GA�s and got busy in the lab.  And with a good number of hours and a number of circuits later we began to see - actually hear - what this deflection tube hype was all about. Operating these output tubes modestly as we do makes an amplifier that not only sounds very nice, but will also last a long, long time. In fact we have recently had the opportunity to inspect and upgrade one of the first Elite80's we built, and with well over 5000 (now reported at over 10,000 hours) hours of reported running time on these Sylvania 6AV5GA's there was no sign of sonic degradation, so we sent it home with the original tubes still going strong!! If you look around on the web you�ll find an ever expanding, near cult, listener following of horizontal sweep tubes and interest seems to be spreading. To make a long story short, these particular deflection tubes are SIMPLY AMAZING. In our Elite80 & Elite40SE amplifiers they display everything one wants in full range clean music reproduction. We have since secured a large number (actually 1000's) of these NOS premium quality 6AV5GA�s so there's no need to worry about the supply. We have the ability to maintain and support your investment for years. our level of confidence in the Elite Series Components. 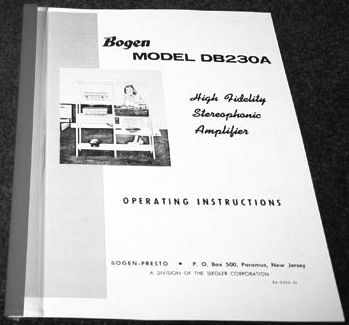 We are now taking orders for this preamplifier. Elite Series-$145.00 per unit via Canada Post anywhere in Canada. Please inquire for other shipping methods and prices. improvements without the obligation to revise prior versions. All specifications are subject to change without notice. The information on this page applies to these particular units only as some models will vary and may not be exactly as shown.